Looking for something exciting for your company’s team building day? Maybe you’ve got a family fun day for you and your firm that needs some entertaining activities. At The Slackline School, we’re more than happy to get involved! With services ranging from motivational talks to just plain fun and skill based learning, we can supply something for almost any corporate event or engagement, whether the purpose is to entertain, to inspire, or to educate. 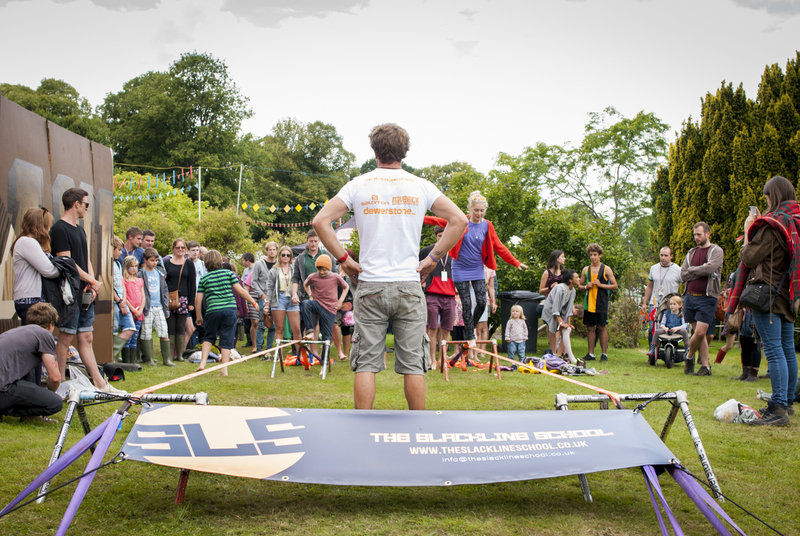 - Available to all ages and abilities; if you can walk, we can put you on a slackline. - Flexible in terms of structure and content, i.e. can serve as a stand alone activity or can be a part of a larger day’s worth of activities. - Fully insured and risk assessed to meet EU health and safety standards, covered by public liability up to £5,000,000. - Compliant with all current safeguarding laws regarding young and vulnerable persons. - Not weather dependant; come rain or shine, we will if you will!